Dr. Sedaghat provides comprehensive pain management services at Pacific Pain Clinic in Irvine, California. He offers a wide range of pain treatment options designed to benefit patients with acute or chronic pain. These services are offered to patients throughout Orange County, including Irvine, Huntington Beach, Newport Beach, Costa Mesa and Santa Ana. What Ailments Do You Treat? Dr. Sedaghat treats a variety of different conditions that cause pain, including fibromyalgia, complex regional pain syndrome (CRPS), reflex sympathetic dystrophy (RSD), irritable bowel syndrome, tendonitis, chronic fatigue, depression, headaches, Parkinson’s disease, TMJ, arthritis, anxiety, musculoskeletal pain, and nerve pain. Dr. Sedaghat treats pain arising from acute injuries, as well as pain related to chronic conditions that may persist for months or years. What Pain Management Treatments Are Available? Pacific Pain Clinic offers a number of pain management options that vary in intensity and purpose. Some of the most conservative treatments available from Pacific Pain Clinic include physical therapy and deep tissue massage. If patients don't respond appropriately to these treatments, more intensive therapies are available. Intensive pain therapies available from Pacific Pain Clinic include Botox injections, PRP, point stimulation, joint injections, trigger point injections, and epidural injections. In some cases, Dr. Sedaghat may prescribe multiple types of treatment in order to provide maximum relief to the patient. 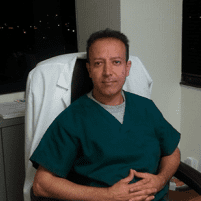 How Does Dr. Sedaghat Approach Pain Management? Dr. Sedaghat believes that patients benefit most when all of their doctors are involved in the treatment process. To provide superior services, he works closely with each patient's family physician, primary care physician, chiropractor, physical therapist, neurosurgeon, and/or orthopedic surgeon to develop a treatment plan that addresses all of the patient's symptoms effectively. When Dr. Sedaghat meets a new patient, he begins by evaluating the origin of the patient's pain. Identifying the cause of the pain allows Dr. Sedaghat to select the most effective pain treatment options for the patient's case. Dr. Sedaghat always begins with more conservative treatments and works his way toward more advanced options. His ultimate goal is to provide his patients with the highest quality of medical care so that they can enjoy full, active lives.